Gold Climbs 16%: Is It Overvalued Now? Fact: It is rarer to find a one ounce nugget of gold than a five carat diamond. Gold is rare, precious and recognized as a store of value around the globe. In recent weeks, individual investors and global money managers shifted assets into gold, silver and other precious metals as political and economic risks climb. Gold prices are now 16% higher than the start of 2017. Last week, spot gold surged past its November 2016 (pre-Trump election) high at $1,307 per ounce. After gold bulls stalled out three time at the $1,300 per ounce level earlier this year, the late August and September rally in gold tore through that ceiling. See Figure 1 below. The recent runaway gains in gold might have you wondering: is gold overvalued? The good folks at CFRA Research, a highly regarded New-York based independent research firm dug into historical numbers, relative to stock prices, to try to answer that question. Get ready for a little bit of math. "Daily prices going back to 1968 show that the median relative price of stocks versus gold (the level of the S&P 500 divided by the price of an ounce of gold) was 1.20, meaning that the stock index has been worth 20% more than the price of gold," CRFA says. "While the relative valuation has experienced ups and downs over time, the latest tilt in favor of stocks over gold that took hold in 2012 can be attributed to the easy money policies across the globe, making risk assets more attractive and have been supported by the search for growth that many investors have embarked upon. Further, this shouldn't be that surprising given the low inflationary environment we have enjoyed for the better part of the last decade as gold is often used as an inflation hedge," CFRA says. 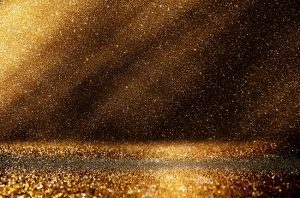 As of late August, the relative valuation stood at 1.91, implying that stocks are 71 basis points more expensive than gold, according to CFRA research. "Or said in reverse, gold is 71 basis points cheaper than stocks, implying more value in gold than in stocks. Therefore CFRA doesn't think gold is overvalued at these levels. In fact, as the relative valuation nears the level of one standard deviation greater than the median (at 2.39), CFRA anticipates gold returning to favor over stocks,"
How High Could Gold Rally? The sky is the limit. History can be a guide to help determine the answer to that question. 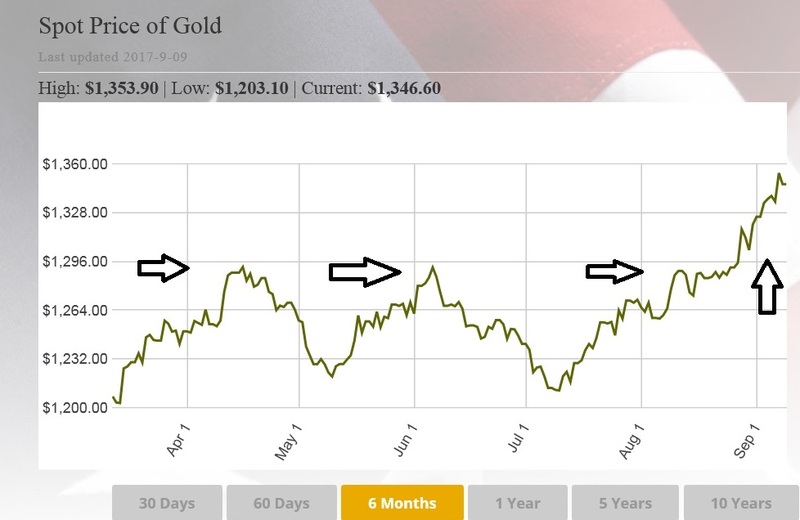 Navigate to Blanchard's spot gold price page here. Click on 10 Years to see spot prices over the past decade. Voila. You can see there's a lot of upside ahead. An ounce nugget of gold is rarer than a 5 carat diamond. Geology doesn't change. Gold has held its value for thousands of years and is on the rise now. If you've been meaning to increase your allocation to tangible assets, don't delay, next month prices will likely be even higher.